There are some cars that drop in value quicker than others the moment you drive them off the lot. If you are buying a sports car like the Toyota 86 or Subaru BRZ, it’s better to buy used over new because they tend to drop in value faster than other sports cars. iSeeCars examined the list to determine the sports cars with the biggest price differences between new and lightly used models. The new Toyota 86 is number #2 on the list and Subaru BRZ is #10. According to their research, the Toyota 86 (#2) looses -25.2% and has a $7,680 difference used over new the first year. 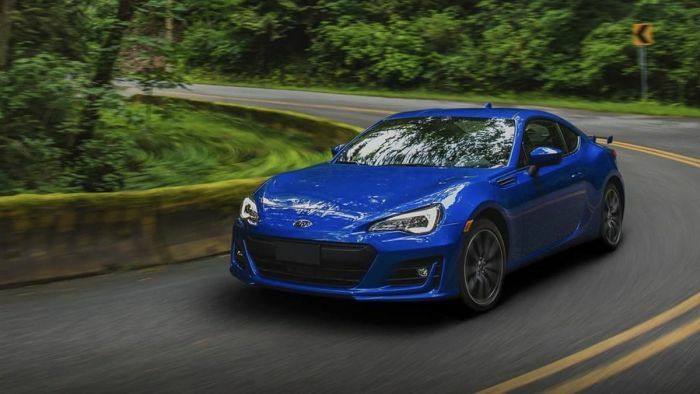 Subaru BRZ (#10) drops 19.3% and there is a $5,504 difference between a slightly used over new. The overall sports car average is -15.8% difference between used over new. Why is depreciation higher on the Toyota 86? The Toyota 86 drops more in value than BRZ even though both these cars are identical and the badge is basically the only difference. Both are built by Subaru at the Japanese automaker’s Gunma factory and share the same 2.0-liter Subaru Boxer engine and drivetrain. The 2019 Toyota 86 does have a starting MSRP of $26,505, the 2019 Subaru BRZ starts at $25,795. The Toyota 86 outsold the Subaru BRZ by 66% during 2018 and it’s why they drop more in value. There are more 86 coupes on dealer lots for sale, and it’s a matter of supply and demand. If you are in the market for a sports car, buying a previously owned Toyota 86/Subaru BRZ will save you a boatload of money. You will save you even more money ($2,176) buying a Toyota 86 over buying a slightly used Subaru BRZ.